The Royal Institute of International Affairs estimates the region could contain up to 90 billion barrels of oil. According to the US Geological Survey, a fifth of the world's natural gas lays untouched beneath the Arctic ice sheet. The area is also rich in precious metals. Conflict is age old in the Arctic. Archaeological remains show it was a politically contentious area back in the 15th century. The Bering Sea also became the theatre of one of the American Civil war's battles, when Union vessels were attacked by the Confederate CSS Shenandoah in 1865. In 2013, the same year Russia annexed Crimea, president Vladimir Putin carried out extensive military exercises in the region. And in March, while posing for a photo by an Arctic glacier, he declared that: "Natural resources, which are of paramount importance for the Russian economy, are concentrated in this region." Western allies are increasingly fearful of Russia's aggression. Canada and Norway feel particularly threatened given the vast unpopulated areas in their northern territories and the natural resources off their coasts. They have increased their defence spending. The US joined this race for the Arctic in April 2018 when the Bureau of Land Management announced it would begin an environmental impact analysis for oil exploration in Alaska's Arctic National Wildlife Refuge (ANWR); an area designated as protected wilderness by Congress in 1980. This will enable the Trump administration to issue leases to the oil and gas industry in early 2019. This will help satisfy America's need for fossil fuels, but also to make it harder for Moscow to explore its options. New US sanctions have also targeted some Russian oil executives and prohibited American companies from dealing with them. As a result, Exxon Mobil was the first US oil company to leave Russia. More will follow. Oil is essential to the Russian economy, so Moscow will continue its aggressive pursuit of it. China also considers itself a "near Arctic state". 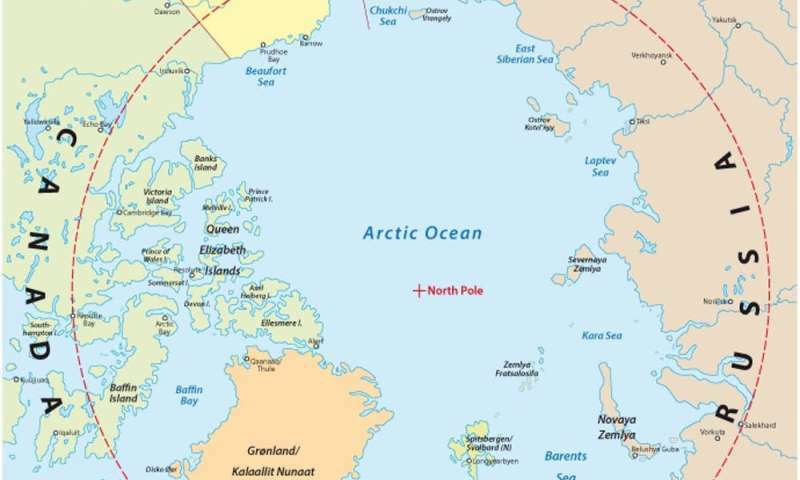 Recently, it issued a White Paper which characterised the Northwest Passage as an "international strait". It stated: "China is an active participant, builder and contributor in Arctic affairs." The aim is to create a "Polar Silk Road" that would become part of its Belt and Road Initiative by making use of new shipping routes. China has also significantly increased investment in Greenland to expand infrastructure and hasten the island's independence from Denmark. Managing these competing interests will be a serious challenge, not least because the Arctic is a weak point in the convoluted web of treaty-based and customary international law. There is no overarching treaty governing the "High North". According to the United Nations, each country can claim up to 200 nautical miles off its coast of Exclusive Economic Zone (EEZ). To get access to any area beyond this point, a country must prove that this outer zone belongs to them. So far, only Iceland and Norway have been approved for such a claim. Canada, Denmark and Russia have submitted overlapping claims that are still being debated.